Countdown to JFK50 – The Resentment Stage | So What? I run. My friend Megs introduced me to the term “resentment stage” and she was dead on. I’m completely bitter about the whole thing. The fact that training sucked and the fact that I lost that fire in my belly. It’s not like me and I don’t like this at all. I’m burnt out. I thought about quitting, but I refuse to defer. So, Saturday at 7 a.m., I’m going to try my third ultramarathon this year, my second 50-miler, very under-trained and less than enthusiastic. I’ve been trying to light that fire in my belly and get excited about it, but that stupid little spark just won’t stay lit. Running is all mental. If I can’t get my head in the game, there is no way that my body will follow. So, this week, I MUST get my head back in the game. I’ve committed myself to this race, so I’m going all in. I have to remember why I wanted to do this…it was supposed to be fun! Right now, it’s not. Resentment Stage – Ever experience this? This entry was posted in JFK50, Trail Running, Ultramarathon Training and tagged JFK 50-MILER, JFK50, Trail Running, ultra marathon training by SoWhatIRun. Bookmark the permalink. You are so right! I’m trying…I swear I am! As Cindy stated, we don’t have to run. We GET to run. My fiancé is an amputee. He reminds me of this every day. He used to be a competitive track & cross country athlete. He was fast. Now he wishes he could run like me. And he lives vicariously through me. I’m doing jfk Saturday. I’m undertrained & injured. I probably shouldn’t be out there. Everyone else believes in me when I’m doubting myself. My fiancé said to me “starting & not finishing is better than not starting at all”. So I’m going out there and I will start! This will be my very first ultra period! So look for me! I met you at Baltimore & the endless summer 6 hr run. I will be slow! I’m short & I’ll have a black hat on 🙂 You will do great. 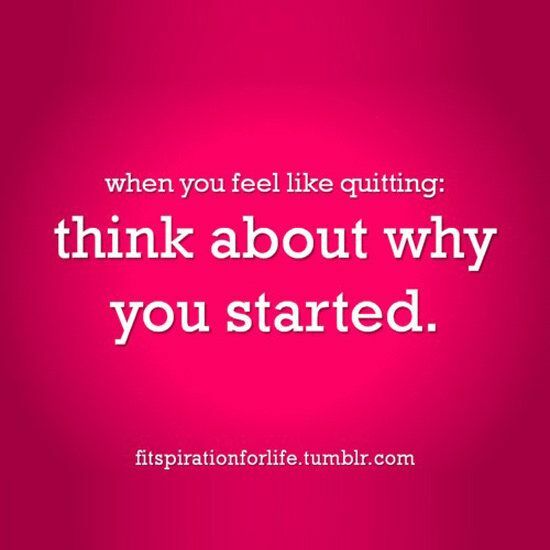 Remember why you started. And remember running is a gift. Not everyone is blessed to run. And reflect back on the history of JFK 50. JFK the president had challenged the marines and nation to walk. Many people all over started doing just that. So when it becomes rough, just have fun and walk if you can’t run 🙂 if anything else, because you CAN! You can do it!! I’m cheering for you!! Just make it to the finish and you’ll have this done and completed forever- then rest up!!! Sometimes knowing one last race before a good rest period can be a huge motivator! Good luck- you’re awesome! Thanks Kathleen! I’m so ready for the rest period! Yes! Total Wind Out Of Sails! But, I’m getting a little bit excited about it as it gets closer. 50 something hours! Hey, you got this! You’ll rock it! I think I felt like that during marathon training last year towards the end. It was like I just wanted to be done. And then the race got cancelled and that really sucked! You got this, Sandy! I have faith in you! I’ve been there and was at the point of dropping out of the JFK ’13 at the 30 mile mark when I was on my hands and knees throwing up. I couldn’t keep anything down from miles 18-32 and was done with it. Like mentioned in your post, I thought about why I even crossed the start line in Boonsboro and then it all came back to me between miles 34 and 38. I ended finishing in 11:15 with a fractured left foot (fall on AT) but the perseverance was worth it. My thoughts were on the people I knew that were expecting me to finish as well as how mad I would be at myself if I DNF based on just giving up. I’ll be back at the starting line again this year in Boonsboro – good luck on Saturday: will be thinking about you! Pingback: 2014 JFK 50 Mile Ultramarathon Recap – Chasing Cutoffs. | So What? I run.